She and her husband, Ted, were among the founding members of the Friends as well as the Historical Society. She became a most knowledgeable, tireless advocate for our community concerns over the years. 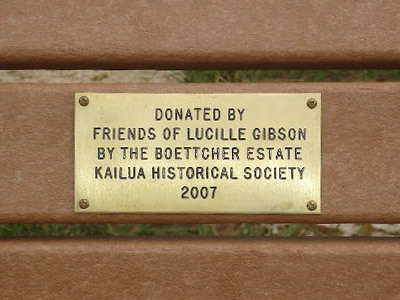 We worked with the Department of Parks and the “Lucille Bench” was placed at the entrance of the Estate (now known as Kalama Park, on Kalahao Road). 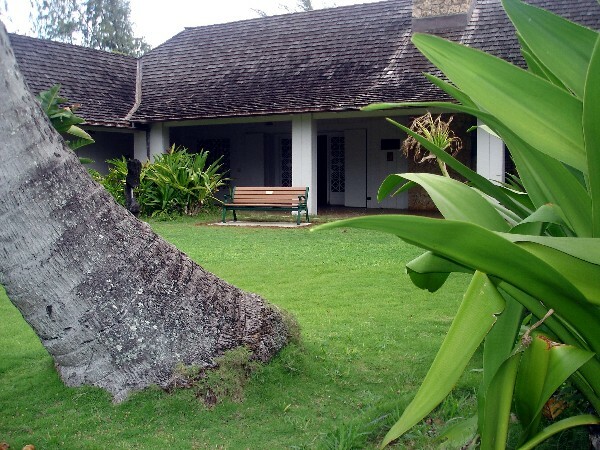 Those of you who use the park, stop by, have a rest, enjoy the view of the Koolaus and remember this great lady who gave so much to our community.